This is my third (and probably final) reading challenge for 2012. 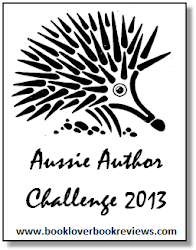 I'm participating in the Aussie Author Challenge, hosted by Booklover Book Reviews, and I'm aiming to be Dinky-Di! I participated in this challenge in 2011, as a late entrant. 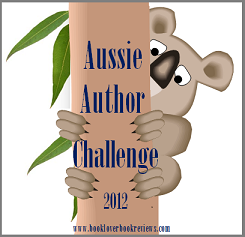 In 2012, I'll be able to kill two birds with one stone by doing the Aussie Author Challenge as well as the Australian Women Writers Challenge. 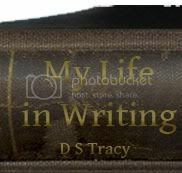 But to be as true to form as possible, I will try my hardest to not include any novel in both challenges. So, I will try to read 12 Australian novels for the Aussie Author Challenge, and 6 novels for the Australian Women Writers Challenge. This should certainly expand my reading a fair bit! Thanks for stopping by Jacqui. 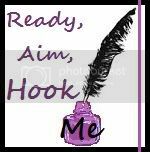 From one aspiring writer to another, it's super tough isn't it? That's why we need to support Aussie writers as much as we can. I only found out about this challenge halfway through last year but before that I had no idea how many great Aussie YA books there were. Good luck with your reading this year! A very warm welcome back to the challenge for another year Jacqui - look forward to reading your reviews.